On Sunday, we learned that North Korea has threatened to launch 'indiscriminate and pre-emptive' nuclear strikes upon America and South Korea, the umpteenth time that the North Korean dictator has threatened to launch attacks against our country, this time in response to the largest military drills ever between South Korean and US troops in Kim Jong-Un's backyard. The drills between the US and South Korea have been designed to simulate the collapse of the North Korean dictators regime and the resulting chaos that would quickly unfold there. While the 'Key Resolve' and 'Foal Eagle' military drills will last from March 7th to April 30th, the North Korean dictators latest threat comes just days after he ordered his nuclear weapons to be on standby for 'use at any moment' after tough new UN sanctions were imposed upon his country after their 4th nuclear test in January and the following months launch of a long-range rocket and satellite...which should really be what concerns us more. This is not the 1st time that the North Korean dictator has 'freaked out' about US-South Korean drills as shared in this story from Business Insider telling us about the 2015 drills of the same name. 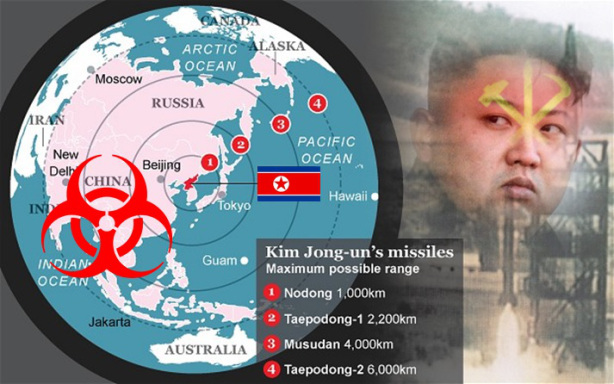 While North Korea then threatened the US and South Korea with a 'merciless baptism by fire', it merely responded with several SCUD missile launches into the sea on both March 2nd and March 12th of 2015. Why might 2016 be different? Back in January, Breitbart ran a story in which they told us that North Korea's state media outlet boasted that its nations scientists were in 'high spirits' to detonate nuclear weapons 'capable of destroying America all at once'. Their bold statement was made a week after they said they had 'successfully' tested a hydrogen bomb, though "nuclear experts have posited it was more likely to have been a weaker hybrid atomic weapon." However, as we told you also back in January on a story called 'The Problem From Hell': 'Doomsday' Passes Over America Several Times Almost Every Day - Experts Warn: 'There's Nothing We Can Do To Stop It,' what most people think of as a 'traditional nuclear bomb' would never be able to accomplish the North Koreans goal of 'destroying America all at once' as they claimed they'd be able to do. 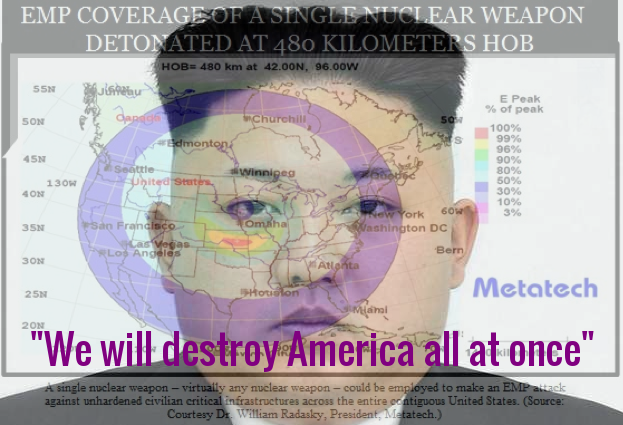 While most traditional nukes could cause massive devastation upon one city as well as our nations economy and psyche, only an EMP attack would allow the North Koreans to accomplish their stated goal of 'destroying America all at once'. 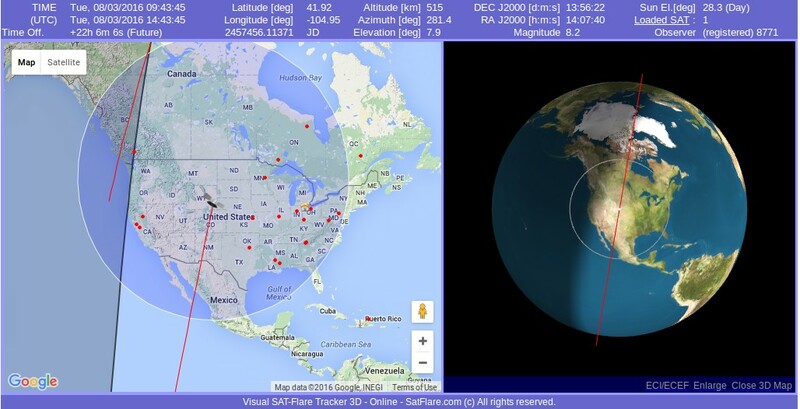 As we also told you in the 'Problem From Hell' story, North Korea does have the capability to launch an EMP attack upon America via one of two satellites that flies over America several times every day...and as previously warned, experts say there is very little to nothing that we can do to stop them. According to Dr. Peter Vincent Pry, the H-bomb recently detonated in a test by North Korea fits well within the requirements of a 'Super EMP', a device that could nearly instantly send America back hundreds of years and wipe out our electrical grid over a huge portion of the country according to the Washington Examiner. In fact, according to Pry, the US is not only totally defenseless against such an attack but North Korea has practiced such EMP attacks against America already. So now we know...a 'Super EMP', which North Korea has the capability to deliver, would be far more dangerous to the US than the most powerful hydrogen bomb ever built. While of course, any nuclear weapons attack upon a US city would be enough to allow a total lockdown of our nation, it wouldn't be able to destroy the whole country in 'one fell swoop' as an EMP attack upon us would. While North Korea's nuclear alert has been mainly discounted as 'talk' as shared by Gary Franchi of the Next News Network in the 3rd video below, nonetheless Barack Obama has issued a warning to the NK leader as Franchi shares in the 4th video below. The 2nd video below is a report from a mainstream news media source on the North Korean dictators latest nuclear threats against America while in the 1st video below from Prepper Recon, we hear what Americans should be preparing for the most...an EMP strike that would leave our country w/o electricity for a potentially very long time and hundreds of millions of dead Americans in the aftermath. As our videographer tells us, the best time to prepare for such an event is now. 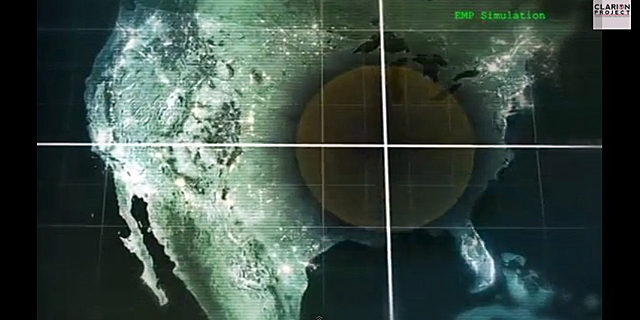 As Susan Duclos told us in this previous story, there are ways to go about preparing for an EMP strike that could leave up to 90% of the country dead within the following year to 18 months with possibly millions dead in the first month alone. We welcome you to leave any advice that you might have in the comment section below. In closing, we take a look at what may be unfolding prophecy with 'Foal Eagle' now beginning after threats made by the North Korean leader to 'annihilate the enemies and reduce their bases of provocation to seas in flames and ashes' if there is even 'the slightest military action'. As Steve Quayle recently pointed out in several stories he linked to on his website this morning, 13 dead bald eagles were recently found in the state of Maryland. Asking his readers to look up all of the eagle prophecies and the timing of this event, we have to ask, is the 'Eagle' about to be 'shot down' as it was by Barack Obama in a dream shared in this linked story from Prophecy Club? Does the eagle in that dream stand for 'America'? While many believe the North Korean leader would have to be out of his mind to launch such an attack upon America that would likely result in the complete destruction of his own nation after the US responded, many believe Jong-Un may just be 'out of his mind' enough to do such a thing.